1 Comments Published by Terrace Crawford on 1/31/09 at 10:42 AM. 0 Comments Published by Terrace Crawford on 1/28/09 at 6:26 PM. 1 Comments Published by Terrace Crawford on 1/27/09 at 7:54 AM. (1) Prayer- I never approach any series without praying through it first. I believe God gives us creativity and many times we don't tap into "the source" before we go looking elsewhere. I'll never forget something Perry Noble said at a conference last year: "we really need to start praying and stop downloading." Some of the most creative teaching series have come as a result of prayer. Definitely start with prayer. After all, God knows what the sheep need. (2) Online Resources- I have found great resources online that offer solid ideas for series. One of my favorite places to check out is LifeChurch.tv. This church has such a kingdom mindset...offering their creative resources for free to churches. I love their latest series idea called "True[ish]." Other sources online that I'd recommend are: BlueFish.tv, YouthBytes, and Vine Resources. (3) Churches- Often when I have some down time I will surf the net and peruse through church and student ministry websites to see what teaching series they have going on. I can't tell you how many times just by seeing a graphic it has triggered a flood of thoughts and ideas for me and I immediately put pen to paper. I may take just the name of their series and create my own content, graphics, etc. There have been occasions where I listen to their messages and query their pastor(s) for permission to use their content, but again, I start with prayer before diving into the process. So where do you begin your design process? What resources have you found helpful? 0 Comments Published by Terrace Crawford on 1/26/09 at 8:33 PM. Been a literal week since I've blogged. Did you miss me? Don't answer that. Sooo much has happened in a week's time. I anticipated packing up my office at Cornerstone, meetings and lots of lasts... which all happened. What I didn't plan was an unforunate turn of events where my chinese food was not good for me causing me to puke for two days straight. And, if you saw my last post... it was all transpiring during the Inauguration of our new President of the United States. Our church devotes a week each year where we invite the homeless in to feed them and also allow them to sleep in our facilities. This is part of a program that is a partnership between the city and churches across Tidewater that is doing a tremendous work in our area. I spent a lot of time helping with the program during my last week. I'm reading a new book and really enjoying it. Speaking of books, I was asked to be a part of a special blog tour that kicked off this week. I'll be posting my review of this guy's latest book next Tuesday. Make sure you stop by! I have a two-day staff retreat this week with Crossroads. I'm excited to get away. Speaking of Crossroads, this is my FIRST Sunday there. I'm stoked. Thanks so much for your continued prayers for my transition. This Sunday is also Superbowl Sunday! I cannot wait! Before you ask, I'm rooting for the underdog... the Cardinals! Don't underestimate the Cards though. They are SO ready for this game. This past Sunday was very moving. Several friends shared testimonies of how I had touched their lives and there was a special video presentation in my honor. I was so humbled by the entire affair. My favorite new television show is Game Show in My Head. Bummer is that it only airs once a week -- on Saturday evenings. Have you seen it? It is hilarious! I won a radio contest today. Movie tickets. The question I had to answer was related to American Idol. I'm enjoying the new season so far. Spoke at a local conference over the weekend and had a great time presenting to lots of youth workers and parents. 0 Comments Published by Terrace Crawford on 1/23/09 at 10:21 AM. Not to take my good friend's tag line but last week was history in the making. Doh! Our great nation swore in its 44th president, Barack Obama, and I concluded my final week at Cornerstone. Rick Warren: What a prayer. What an honor to be asked to lead the invocation. What a platform to point people to Jesus Christ. Aretha Franklin: (thinking) I just worked that song... and that hat! The Crowd: 2 million. Woah. Dignitaries & Political Icons: Classy. I felt a sense of pride and respect for them on that day in spite of the fact I may disagree with their politics past and present. Chief Justice John Roberts: (thinking about the oath) For the love... WHY didn't I write this down!? President Barack Obama: (thinking about the oath) For the love... WHY didn't you write this down?! Parade: One too many marching bands but great talent. Yep, I was puking. Food poisoning. Its not how I imagined that I would spend such a historical day, nor the story I want to tell to my grandchildren when they ask about such a historical day. The chinese food didn't work for me. I am proud of our nation, enjoyed watching the ceremonies and I am committed to pray for our new president, his family and his cabinet. 1 Comments Published by Terrace Crawford on 1/19/09 at 8:40 PM. Had a heavy duty weekend. 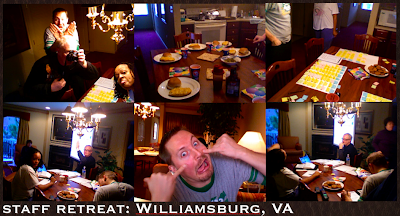 Coordinated an overnighter with students. We played games all night long. No sleep at all. Sunday was the first of two farewell services (for me) at Cornerstone. This Sunday will be a tribute service I'm told. Guess that is kind of like a eulogy of sorts even though I'm not dead yet? or maybe it will be more like a roast? Hopefully more laughter than tears. Nearly forgot today was Martin Luther King Jr. Day as I planned a stop at the Post Office and the bank. No offense to government\federal employees but it seems like they get a heck of a lot of holidays off. Whats next... Flag Day? Boxing Day in Canada? Cannot wait to see the Inauguration tomorrow. I think Inauguration Day should be a mandated holiday. Seriously. No one will be wanting to work tomorrow. I ate wayyy too much tonight. Several friends took me out to PF Chang's China Bistro. I've never been there. Food was very good -- just poor service. Ok, so I didn't get my prediction about the Super Bowl exactly right. I expected the Eagles to beat the Cardinals. My mistake. I should have known better. Cards are ready. A bit of a theme running on my blog this week. Topic is "transformation." You'll see at least a post a day in regards to that subject matter. Was treated to lunch today by some local pastor friends. We ate at the Founder's Inn. I ran into former NFL football player, Bruce Smith, who use to play for the Buffalo Bills. Word has it that he is up for possible Hall of Fame spot. Lots of stuff to accomplish before the weekend. I need to get some sleep! Ok snow... where are you? 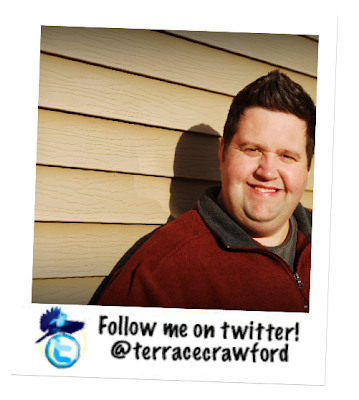 1 Comments Published by Terrace Crawford on at 12:16 PM. Do you know what happened on January 19, 1981? You probably don't have a clue. It's an important date in history though. On January 19, 1981 my uncle (who was actually one of my former pastors) began following Christ. Larry McAlister will let you know to this day that January 19th means a whole lot more to him than April 07th, the day he was originally born. Spiritual birthdays should never be forgotten. I think they cause for celebration even though I don't recall my spiritual birthdate. I say "birthdate" because I will NEVER soon forget that day. The moment of the day you genuinely accept Christ is transformational. You are never the same. Your second birthday. Your spiritual birthday. It's worth celebrating year after year. I phoned my uncle moments ago to tell him "Happy Birthday." So, do you celebrate your spiritual birthday or remember that day? I'd love to hear your story. 1 Comments Published by Terrace Crawford on 1/18/09 at 2:47 PM. My friend, Josh Treece, texted me earlier this afternoon with the news that Jason Raitz and his family need our prayers because their family's home burned to the ground on Thursday, losing near everything and leaving his brother with minor injuries. "If you would like to pray for us...please pray for a home in the same neighborhood. We would like the kids to be able to stay on the same bus and have a sense of normalcy. Pray for my brother. Pray for rest for all the people taking such great care of us." Please join me in prayer for his family during this difficult time. Go here to read his latest post regarding their situation. 1 Comments Published by Terrace Crawford on 1/16/09 at 11:34 AM. 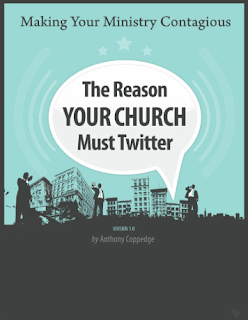 Anthony Coppedge (@anthonycoppedge), a writer, speaker and passionate leader in the technology circles, just released an e-book on why your church should twitter. What is twitter? Well, where have you been? 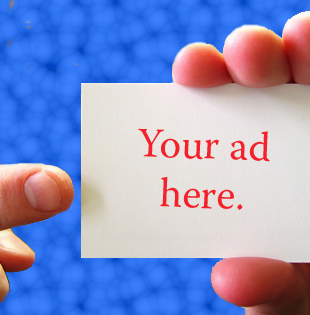 It's a great tool that is being used by millions of users everyday to communicate and network, frequently answering the question "what are you doing?" Go here for a quick video that will get you up to speed. Then come back to finish the post. I'll be here, waiting. "The e-book is about Twitter, a social networking tool that combines the ease of cell phone text messaging with the power of email. The purpose of this book is not to give you one more thing to learn or manage. Rather, the purpose is to provide churches with a *helpful, easy* and *practical guide* to reaching the right people with the right message - for free. You can download your copy for only $5.00 and if you purchase copies for your paid staff (up to $15.00) the author gives you permission to make copies like candy for your volunteer staffers. 16 Comments Published by Terrace Crawford on at 9:06 AM. Here's the thing. I am not big on first impressions. I use to be; however, I've met and spoken with people who apparently weren't impressed with their first meeting with ME. Yes, I just said that. I can't tell you how many times I've been floored by people (my jaw dropping to the floor kinda floored) when they told me how they were "turned off" or sometimes "offended" by their first interaction with me. Really? Of course, these stories and testimonials were told to me much later after I had become good friends with them. Some of them to this day are my best of friends. All of this to say, I have learned to give people more than just my first meeting with them before I start to form any sort of opinion about them. The only exception to this was a few months ago when I had the opportunity to meet with a very well known speaker (who shall remain nameless) for a few moments (who counts it his calling to develop leaders by the way) who I wasn't so impressed with. Here's why. I was chit-chatting with him for a brief moment (literally) about leadership and asked him if I could ask him a few questions sometime (by email - at his convenience) when his assistant (who shall also remain nameless) jumps in front of him like I was going to attack him or something and began to explain to me how "busy" he was traveling, speaking, meeting with other leaders and that I would have to send an email to her and "if he felt led to answer the questions" and "got to it" then he would likely respond. Maybe. What the crap? "Sir, I would love to look over your questions that you have about leadership. Would you send them to my assistant here? As I have time I would be willing to answer your questions and get them back to you. Just understand that I have a pretty tight schedule and it may be a little while before hearing back from me." Instead, you allowed your assistant to respond to me, did not interject when she said "if you felt led to answer them" (what?) and dismissed me as if I weren't worth your time. I was subscribed to every email list and mailing list your little organization had. I read your emails, benefited from them and shared them with others... but after that meeting with you I was very disturbed by your poor response and can't bring myself to read one email or mail piece now that I get from you. I've forgiven you for the harsh feelings I had towards you but I can't follow someone's leadership who professes that they are about developing leaders when you dismissed me the way you did. I hope you treat other leaders that you meet face to face far better than you treated me. 0 Comments Published by Terrace Crawford on 1/14/09 at 8:00 AM. Last fall Tim Schmoyer started a Youth Ministry Mentorship program that runs for 10 weeks for new youth workers in the field who have been in their role less than two years. I am privileged to be a part of the mentorship team and look forward to this second round which begins soon! This time around the mentorship is once again free of charge but those accepted into the program will also get a resource package chocked full of goodies valued at over $250.00! 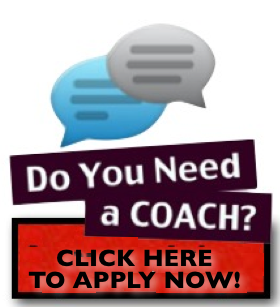 The unfortunate thing is that there are limited spots available and so many people apply. 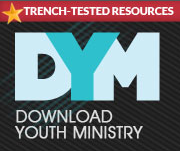 Last round over 200 youth workers applied and only 13 were accepted. The application period is only open for 11 days (closes on January 24, 2009) so if you are interested you need to apply immediately. 2 Comments Published by Terrace Crawford on at 5:00 AM. 2 Comments Published by Terrace Crawford on 1/12/09 at 8:23 PM. Had a pretty relaxing weekend. Much needed after a chaotic week! My schedule has been insane lately. The next two weeks will be pretty hectic for me. Hopefully I'll be able to schedule in some R&R time. Got an email yesterday asking me to be a part of a blog tour. I'm pretty stoked about it. Plan to join a gym after I get settled in my new position. Want to get in a good routine. Looking forward to this year. I'm really excited about what lies ahead. Still find myself writing 2008 on things. Entered my name in a contest to win tickets to the Inauguration. We'll see if I'm chosen. Attended meetings all day today. Didn't get home until after 10.00PM tonight. THAT is a long day my friend. Watched the Golden Globes last night. I'm very curious about Slumdog Millionaire. Need to check that one out. It won 4 awards last night! Attending a board meeting tomorrow. Can't wait to hear the exciting ministry news! Can't tell you how many people I've met on Facebook constantly asking me what twittering is. If you are one of them... go here and watch the video. I've started my search for housing. Pray for me. I'm excited about the new digs I'll soon discover... but dreading the actual move. Moving is a beast. Making a prediction... Steelers vs. Eagles in the Superbowl. Saw Twilight again with friends the other day. Does that make me a middle school girl? Heard the soundtrack for the movie. Its really good. Still can't get over Robert Pattinson's voice. Busy day tomorrow.... and miles to go before I sleep. 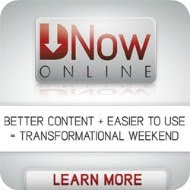 2 Comments Published by Terrace Crawford on at 1:58 PM. I attend a multi-denominational meeting of local pastors once a week and we share our hearts with each other. One pastor has shared a burden numerous times over the decisions his denomination is making and how it has grieved him so. He stated a sobering thought at one of our recent meetings: "I really feel that in order for the right to make peace with those on the left it may take the death of the church." What a sad day. Christ gave himself for the church and sometimes I'm afraid we (myself included) have been very poor stewards of it. I'll never forget the talk Phyllis Tickle gave at the National Youth Workers Convention in Atlanta two years ago. Her talk was on this very thing. She stated "every 500 years or so a great rummage sale comes around. We are living in that very time right now." I see it. Denominations are staking their claims. Churches are dividing over this or that... and its very much like a rummage sale - where we (as leaders of the church) are sorting through the church's "stuff." Her closing words (a warning) I'll also never forget: "don't let it get bloody!" Be thankful for the differences... and be careful not to let it get bloody in the midst of your doctrinal disagreements and your churchy politics. After all, this is Christ's bride we are dealing with... and He loves her more than you'll ever know. The Hope Edition transforms the now-iconic image of president-elect Obama into a 3D action figure. Shepard Fairey who produced the iconic "hope" poster gave his blessing to artist Nelson X Ascensio and Jailbreak Toys to produce the new toy. 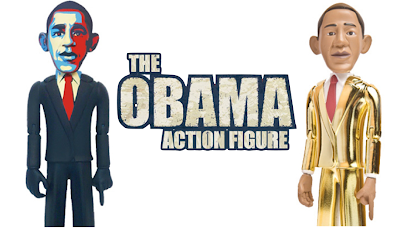 Both new editions of the Obama Action Figure are limited to 3,000 pieces and are available exclusively on Jailbreak’s website, just in time for the historic inauguration. Teenage Boys in Tight Girl Pants = Not Cool! 1 Comments Published by Terrace Crawford on 1/9/09 at 10:37 AM. This vid highlights a def poetry/comedic style poem in one of Granger's recent worship service where you hear the phrase ("teenage boys in tight girl pants... not cool!") in context. Monologue written by Kristin Baker. Performed by my friend, DC Curry, @ Granger. Watch the service in its entirety here. 1 Comments Published by Terrace Crawford on 1/7/09 at 2:19 PM. I've always thought churches that have preaching or teaching teams were smart. The concept hasn't been around incredibly long, but I think it'll stick around for the long-haul. Pastors who preach 52 weeks out of the year and even speak for additional services - whether on Sunday evenings, Wednesdays or whatever are headed for burnout. It affords the lead pastor to take a little time off the platform (to rest, prepare for future series, etc). It gives other staffers the chance to sharpen their speaking skills. It helps build a little synergy between the audience or congregation and the other preaching\teaching pastors. One of the things I've admired about Crossroads is that they have a bit of a preaching team. The pastor has just asked me to join that team so my preaching calendar is going on steroids. I'm looking forward to having more speaking opportunities this year but I'm also looking forward to sharpening my skills. 3 Comments Published by Terrace Crawford on 1/5/09 at 7:58 PM. What a weekend. I announced my resignation on Sunday at Cornerstone. The last 6 months leading up to my departure have been wild... but God has made it evident that I'm on the right track and I'm excited about my new job. I spent today making and receiving lots of phone calls. I've also been reading email after email and enjoy the facebook messages too. Its so nice to know people are wishing me well and that I have such a great support team in my friends and family. This year will be an adventure, for sure, and I'm excited. Nervous too. My current church family has already been so supportive and seemed very excited for me, while sad to hear of my departure. I made a speech yesterday from the platform and said "leaving is never easy but when you know God is leading you it makes all the difference." Had some wings tonight with my good friend, Dave. Glad this week has come. The blog world had slowed to barely a crawl during the holidays. It's been a virtual bore. My new position requires a move. I'm NOT looking forward to that. I have to start looking for housing this week. Say a prayer for guidance to just the right house. Been enjoying lots of football games this week. All the bowl games and a few pro too. Still mourning the loss of my Tigers. My first Sunday at the new church will be Superbowl Sunday. Thats memorable. Heard Springsteen is performing at the half-time show this year. Brainstorming a huge idea I have for the world of youth ministry. The Fast and the Furious is playing in the background as I type this. Going to a post-Christmas party tomorrow night where we exchange reject Christmas gifts! I love it. I started the little exchange a couple of years ago. Its a lot of fun. 12 Comments Published by Terrace Crawford on at 6:00 AM. After four years of service as minister of students at Cornerstone in Norfolk, VA, I have resigned from my position and have officially accepted a call to serve as the minister of students at Crossroads Community Church in Yorktown, VA beginning Monday, January 26, 2008. At Crossroads I will not only oversee the youth ministry but I will also give oversight to the marketing of the church under the leadership of my good friend, Chuck Harrison. They have a heart to reach the unchurched and the dechurched. Their students (both children and youth) are involved in leadership. 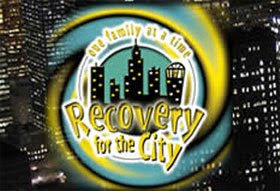 They have a heart for church planters and provide finanical and prayer support to church plants. The number of active students who are committed to follow Christ and are taking initative in discipling their peers. Pastor Chuck Harrison's vision and heart for the church. Their kingdom community - where everyone is welcome regardless of race or creed. I will be sharing more of my journey with you from time to time on this blog but for now I'd appreciate your prayers and support during my time of transition and hope you'll join me in celebrating the work God is doing in my life. 0 Comments Published by Terrace Crawford on 1/1/09 at 10:05 AM. So 2008 seems like a blur. It went quick. Like 40 seconds quick. Check out this creative video Eirik Solheim put together from some amazing images he captured from his balcony at pretty irregular intervals all through 2008.